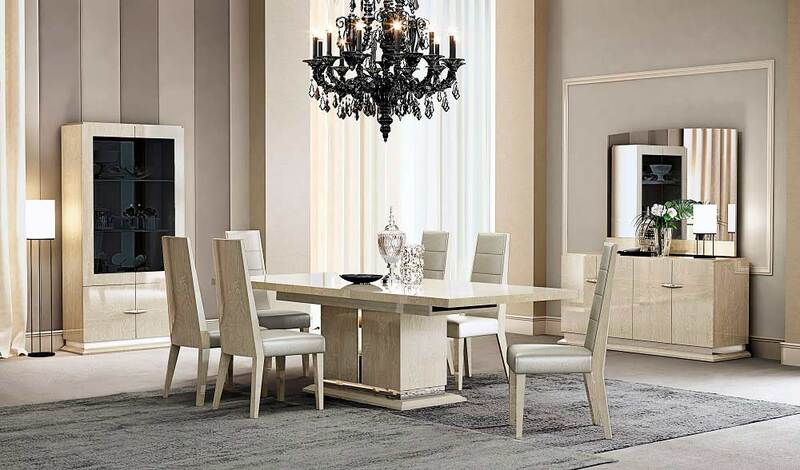 Luxurious style, High Gloss Veneer. The starting price is for Dining Table. 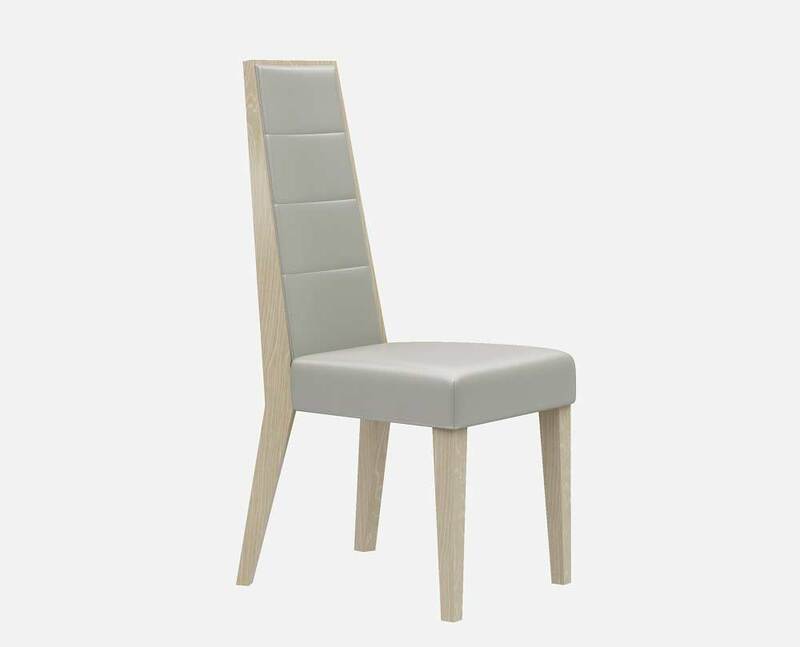 Crafted from a sophisticated light walnut high gloss veneer, the NJ 897 features a luxurious union of symmetrical lines, chrome accents, and a plush welcoming grey eco pelle upholstered dining chair. 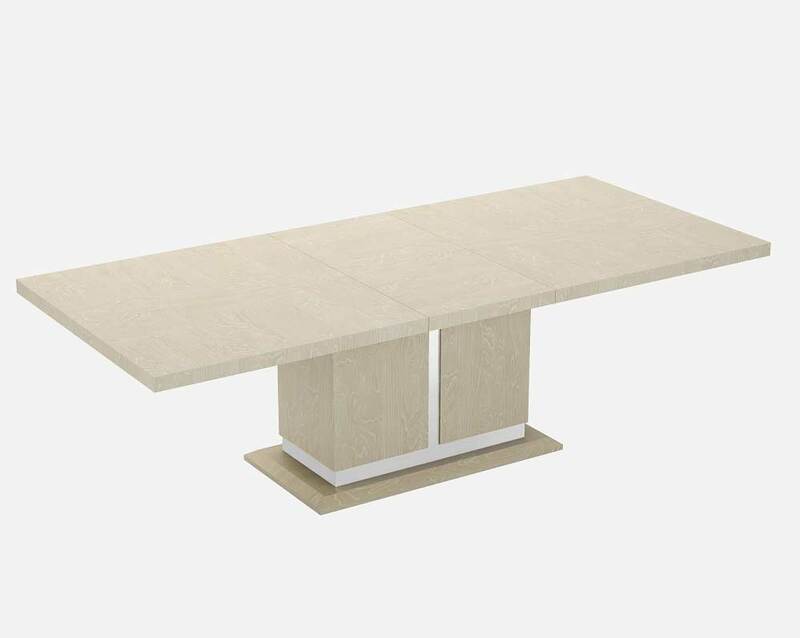 The table can be extended from 78.5" to 98.5" to accomodate plenty of seating. The buffet conveniently provides plenty of storage and a drawer for utensiles. 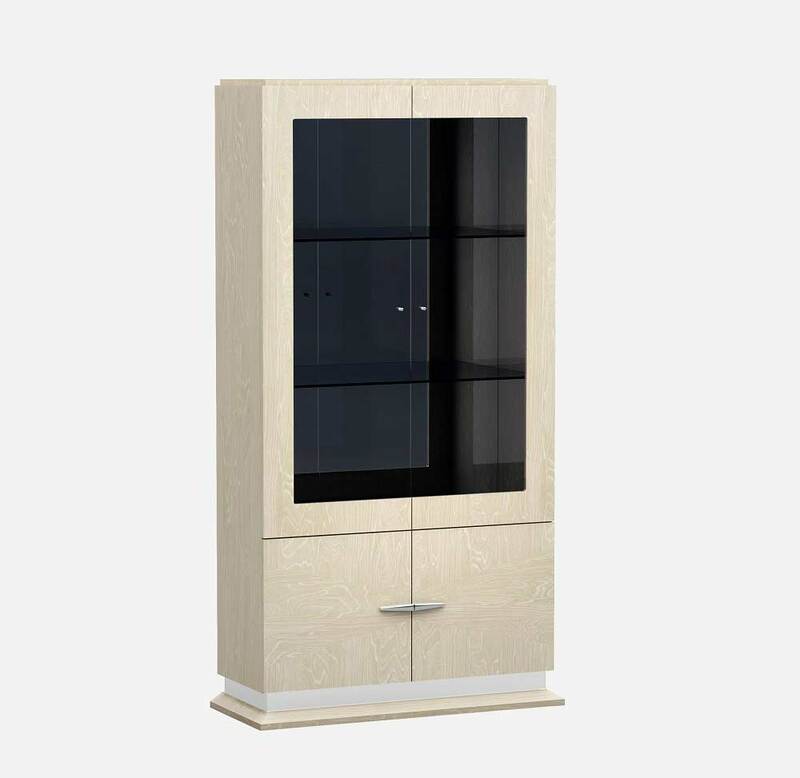 The vitrin features plenty of storage with glass doors to showcase accent items, or fine china. A beautiful collection fit for royalty. High gloss veneer, Eco leather upholstered headboard. Walnut Veneer With Grey Oak Inlay. 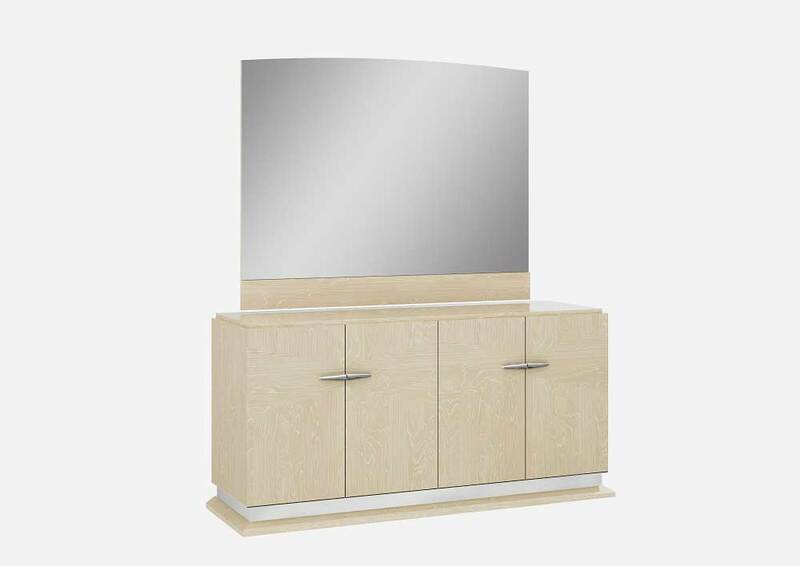 Modern design, Nickle Powder Coated Metal Base.